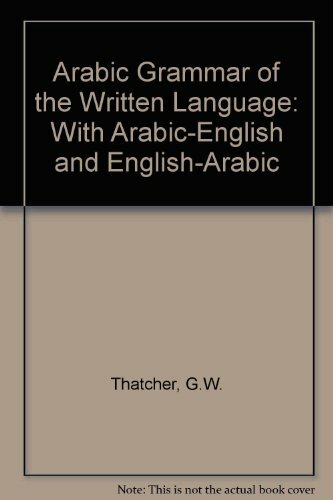 ARABIC GRAMMAR OF THE WRITTEN LANGUAGE: With Arabic-English and English-Arabic Vocabulary. 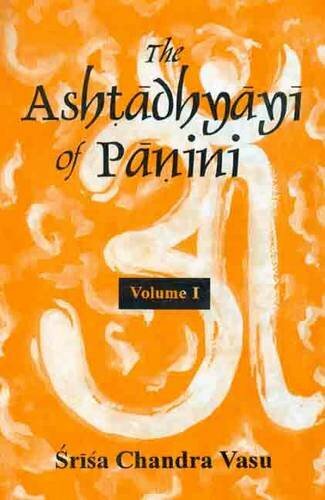 ASHTADHYAYI OF PANINI, Vols 2. 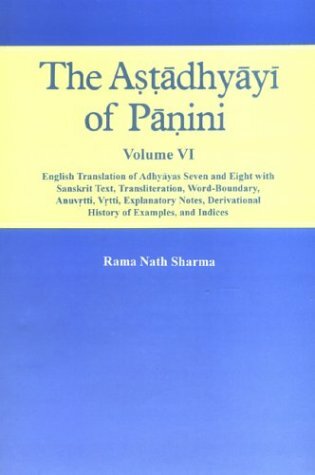 ASTADHYAYI OF PANINI, Vol 2. ASTADHYAYI OF PANINI. Vol 1. ASTADHYAYI OF PANINI. Vol 1: Introduction to the Astadhyayi as a Grammatical Device. ASTADHYAYI OF PANINI. Vol 2: English Translation of Adhyaya One with Sanskrit Text, Transliteration, Word-Boundary, Anuvrtti, Vrtti, Explanatory Notes, Derivational History of Examples, and Indices. ASTADHYAYI OF PANINI. Vol 3: English Translation of Adhyayas Two and Three with Sanskrit Text, Transliteration, Word-Boundary, Anuvrtti, Vrtti, Explanatory Notes, Derivational History of Examples, and Indices. ASTADHYAYI OF PANINI. Vol 4: English Translation of Adhyayas Four and Five with Sanskrit Text, Transliteration, Word-Boundary, Anuvrtti, Vrtti, Explanatory Notes, Derivational History of Examples, and Indices. ASTADHYAYI OF PANINI. Vol 5: English Translation of Adhyayas Six with Sanskrit Text, Transliteration, Word-Boundary, Anuvrtti, Vrtti, Explanatory Notes, Derivational History of Examples, and Indices. ASTADHYAYI OF PANINI. 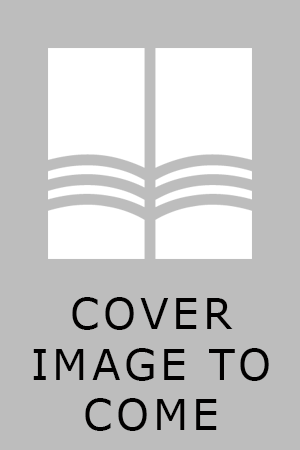 Vol 6: English Translation of Adhyayas Seven and Eight with Sanskrit Text, Transliteration, Word-Boundary, Anuvrtti, Vrtti, Explanatory Notes, Derivational History of Examples, and Indices. 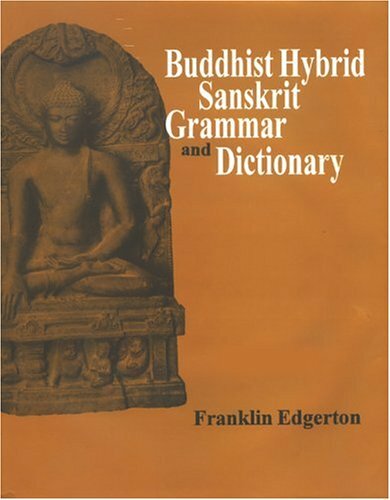 BUDDHIST HYBRID SANSKRIT GRAMMAR AND DICTIONARY. 2 Vols. Vol 1- Grammar. Vol 2- Dictionary. 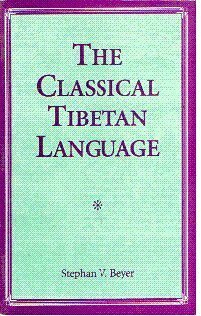 COLLOQUIAL TIBETAN: A Textbook of the Lhasa Dialect. COMPREHENSIVE HINDI EDUCATION: A Four Part Series for Hindi Learning. 4 Vols. Hindi, Romanized & English. CONVERSATIONAL HINDI AND ALSO INCLUDES GUJARATI-MARATHI. DEVELOPMENT AND HISTORY OF SANSKRIT LITERATURE. DHATURUPAKOSA: Compiled for the Use of Sanskrit Students. DICTIONARY OF THE PALI LANGUAGE. DR. HERMANN GUNDERT AND MALAYALAM LANGUAGE. EASY HINDI FOR THE TOURIST: A Phonetic Phrase Book for Everyday Use. ENCYCLOPAEDIC DICTIONARY OF PALI LITERATURE, 2 Vols. Vol 1: A-M. Vol 2: N-Z. FIRST BOOK OF SANSKRIT: Being a Treatise on Grammar with Exercises. 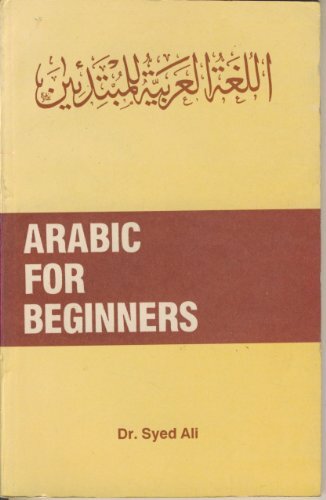 GRAMMAR OF THE ARABIC LANGUAGE. GRAMMAR OF THE HINDI LANGUAGE. GRAMMAR OF THE MALAYALAM LANGUAGE. HAND BOOK OF COLLOQUIAL TIBETAN. HIGHER SANSKRIT GRAMMAR: For the Use of School and College Students. HINDI FOR NON-HINDI SPEAKING PEOPLE WORKBOOK. HINDI FOR NON-HINDI SPEAKING PEOPLE. HINDI RACHNA, 8 Vols. (In Hindi). 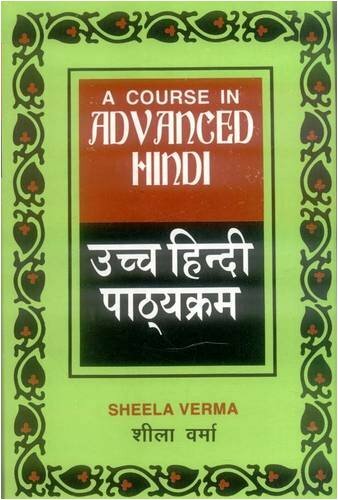 INTERMEDIATE LEVEL HINDI: A Textbook. INTRODUCTION TO BENGALI, Part 1: A Basic Course in Spoken Bengali, With Emphasis Upon Speaking and Understanding the Language. INTRODUCTION TO SAMSKRTAM. Part 1. INTRODUCTION TO SANSKRIT. Vol 1. INTRODUCTION TO SANSKRIT. Vol 2. INTRODUCTORY COURSE IN SPOKEN HINDI: A Microwave Approach to Language Teaching. JUST FOR YOU: English Conversationally. LANGUAGE OF THE AFGHANS: The Pushto Manual. LEARN AND SPEAK 15 INDIAN LANGUAGES THROUGH HINDI AND ENGLISH. LEARN SANSKRIT THE NATURAL WAY: Revised and Enlarged Ed. LEARN URDU: 40 Lessons Complete in 2 Cassettes with a Book. MERI SUNDER KA KHA GA. In Hindi. NEETA HINDI WRITING BOOKS, Vol. 0 to 6. NEW COURSE IN READING PALI: Entering the Word of the Buddha. PALI LANGUAGE AND LITERATURE: A Systematic Survey and Historical Study, 2 Vols. Vol 1- Language: History and Structure. Literature: Canonical Pali Texts. Vol 2- Literature: Non-Canonical Pali Texts. PALI READER AND PALI GLOSSARY:2 Vols. Vol 1: A Pali Reader with Notes and Glossary, Vol. 2: Pali Glossary Pali Reaer and of the Dhammapada. PANINI AS A LINGUISTIC: Ideas and Patterns. PANINI: His Works and It’s Traditions. Vol 1: Background and Introduction. PATTERN DRILLS IN INTERMEDIATE CONVERSATIONAL TIBETAN. PRACTICAL GRAMMAR OF SANSKRIT LANGUAGE: Arranged with Reference to the Classical Languages of Europe, for the Use of English Students. PRIMER OF MODERN STANDARD HINDI. PROGRESSIVE GRAMMAR OF THE MALAYALAM LANGUAGE. PUNJABI PRIMER: A Course in Programmed Learning. PUNJABI WRITING BOOK, 5 vols. RAPIDEX ENGLISH SPEAKING COURSE: Hindi. REPORT OF THE CURRICULUM DEVELOPMENT CENTRE IN SANSKRIT. ROOTS, VERB-FORMS AND PRIMARY DERIVATIVES OF THE SANSKRIT LANGUAGE. SAMIR-SANSKRIT-ADHYAYANAM: A Comanion to Sanskrit Grammar. SANSKRIT GRAMMAR: Including Both the Classical Language and the Older Dialects of Veda and Brahmana. SANSKRIT LANGUAGE, AN OVERVIEW: History and Structure, Linguistic and Philosophical Representations, Uses and Users. SANSKRIT MANUAL: A Quick-Reference Guide to the Phonology and Grammar of Classical Sanskrit. SANSKRIT READER: Text, Vocabulary and Notes. SECOND BOOK OF SANSKRIT: Being a Treatise on Grammar with Exercises. SIMPLIFIED GRAMMAR OF THE PALI LANGUAGE. TEACH YOURSELF BENAGLI: A Complete Course for Beginners. TEACH YOURSELF HINDI: A Unique and Authentic Language Learning Kit From the Country's Leading Authority, Includes 2 Audio Cassettes. TEACH YOURSELF HINDI: Includes 2 Cassettes. TEACH YOURSELF PANJABI. A Complete Course in Understanding Speaking and Writing. TEACH YOURSELF PANJABI: With 2 Audio Cassettes. TEACH YOURSELF URDU IN TWO MONTHS. TEACHING OF HINDI AS A FOREIGN LANGUAGE. 2 Vols. TEXTBOOK OF MODERN COLLOQUIAL TIBETAN CONVERSATIONS. TIBETAN QUADRISYLLABICS, PHRASES AND IDIOMS. WORKBOOK ON TIBETAN PRONUNCIATION: Intermediate Level.